Funky Seventies - Play the Classic 40-Line NetEnt Slot Game Free Online! Way back before NetEnt had the wonderful cartoon themed Disco Spins slot, another glittery Saturday Night Fever style game held top position in the NetEnt catalogue. We revisited it recently and can’t believe we’d forgotten how good the Funky Seventies slot really was for its time. Many modern manufacturers like RTG are only just now producing games of equal quality! 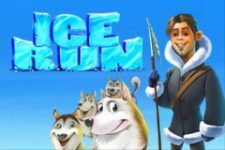 Containing one of the best soundtracks in any NetEnt title and full of classic 1970’s pop culture references this game has become a classic slot indeed. Of course, just because it’s an older title now and considered a classic, don’t think for a moment it has lost any playability. This medium variance slot spinner struts its stuff just as well as it did back in the day, hampered only, if we are being super critical, by the lack of a bespoke mobile version. Desktop based players won’t care though as it has a very rewarding base game and a free spins feature with a double win multiplier. Dust off your flares, don your best wig and head out back onto the dancefloor to relive the good times! The common structure for most modern NetEnt games is either a 243 ways to win format or fixed pay-lines. The Funky Seventies slot was designed in an era where many players were playing online versions of land based slots such as Cool Diamonds or moving over from classic table pursuits like craps games. To offer something different to these players, slots such as the Funky Seventies slot have an expanded 6×4 reel grid and up to 40 pay lines in play. Bet range is nice and wide with a total stake range of 0.40 credits to 100.00 credits, this is setup using NetEnt’s coin system which is largely unchanged from the one featured on new slots. It has to be said, though the control layout for the pay lines and bet sizing is decent compared to NetEnt’s competitors, it isn’t as good as their latest slots. One thing NetEnt have never needed to evolve is the payout potential of their games and the Funky Seventies slot is a medium variance game with a very healthy 96.5% return to player percentage. This allows a very good balance of risk to reward which has become a hallmark of many of the top NetEnt titles. The other thing to note is that this is one of the first games to get the ‘stop on feature’ auto spin option. 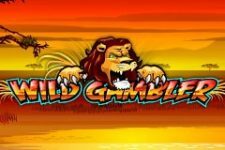 With a game like this where the free spins often carry the biggest potential one-off win that helps more professional players control their bankroll well. Even if the gameplay and mechanics on the Funky Seventies slot didn’t live up to expectations the game would be saved by the theme alone. The pay table icons are fantastic for cult fans of this epic decade. Our own in-house favourites were the Dodge Challenger, which reminded us of the legendary Vanishing Point film and the see-o-matic 3D glasses which we all either had, or lusted after as children. Try telling a member of the millennial generation about those and watch them laugh as they compare it to the modern virtual reality headsets! The theme track is brilliant and well developed, a long enough recording that it doesn’t feel like some annoying loop. One down note is the sound effects, in particular, the reel noises aren’t great. You can mute them separately to the music, though, which resolves the problem. The great theme and style is also backed up by the gameplay and potential rewards. 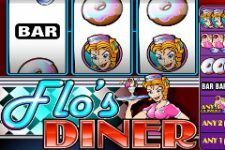 A fixed wild aptly called the ‘wild 70’s’ not only replaces all other symbols bar the scatter, it also offers the game’s biggest reward of 1000 coins if you can line up all five on an active pay-line. The rest of the pay table isn’t quite as strong individually though this is compensated for by a far higher than average hit ratio. The base game on the Funky Seventies slot is surprisingly rewarding and not just a filler track or B-side to the free spins feature. 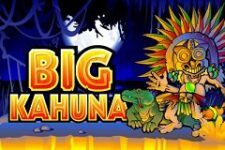 Although the base game on the Funky Seventies slot is very rewarding most of the time that doesn’t mean you should ignore the free spins bonus game entirely. You may only get five initial spins for three scatters but, they don’t need to be in sequence on a line to trigger and there is a 2x multiplier in effect. You also get a re-trigger for three more scatters in view on the grid so potentially, this can turn into a big spins round if you catch it right. Flares and disco dancing competitions may seem pretty retro these days but, with the Funky Seventies slot we feel an encore is deserved. Sure, it may look just a little dated next to the most modern NetEnt offerings and it lacks a few of the extra control features added to the console over the years. Despite that, thanks to a brilliantly executed them, solid mechanics and plentiful rewards this still stands up to scrutiny both as a free play slot machine and a real money gambling game even in the present day.